Post some feedback on the below sites for entry into our free annual prize draw, to win £250 CASH. Leave a review on all 3 sites to receive 3 entries. Winners comments - I rarely leave reviews and like most of us I normally only leave reviews to complain. However, I have been so pleased with my experiences of using Arington as my letting agent, I felt the team at Arington deserved an honest review. I have to say their endless hard work and professionalism is outstanding. When leaving the review I was unaware they held an annual prize draw and you can imagine my surprise to hear my name had been pulled out of the hat. It is on that basis, I have asked Arington to donate the prize money to 'The Clock Tower Sanctuary' in Brighton. The Clock Tower Sanctuary helps young homeless people in Brighton & Hove aged between 16 and 25. I believe it is so important to have the ability to get a helping hand in life when we need it, and who needs it more than homeless people aged between 16 to 25, they have the rest of their lives ahead of them. Further information can be found on their website: https://www.thects.org.uk/. 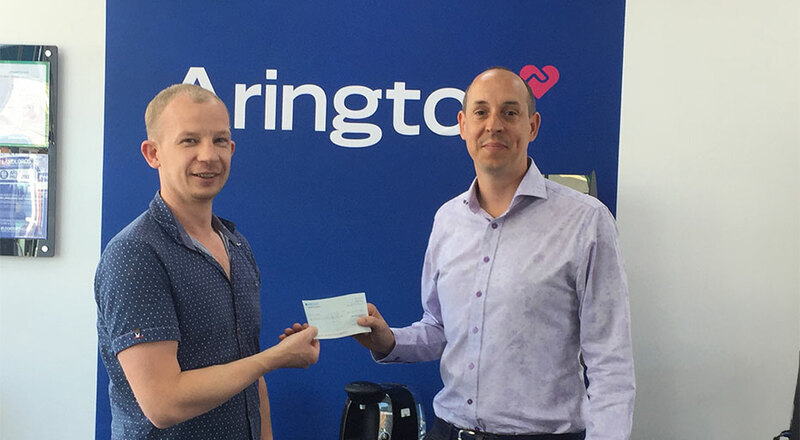 Arington comments - On behalf of Arington, we would like to say a big thank you to Tim for leaving such a positive review about Arington. We know you really meant it and it means a lot to us. Congratulations also on winning our annual feedback prize draw, even if you were unaware of it...and WOW...the team at Arington were delighted to hear the fantastic idea of the prise being donated to 'The Clock Tower Sanctuary'. Homelessness is on the rise and ever more apparent in Brighton, such a worthy cause. The annual feedback free prize draw year runs from 00.00 hours on 1st January to midnight on 31st December, UK time. 1 review equates to 1 entry. A maximum of 1 entry per person, per above review site. Entrants must be registered with Arington as an applicant, seller or landlord prior to the review being posted for the entry to count. Only reviews posted in the prize draw year will be included in the prize draw. The prize draw will take place in January following the end of the prize draw year. The winner will be selected from the entries at random by an independent person. The winner will be notified either by email &/or text message as per the contact details Arington hold on our system, by the end of January. Arington can accept no liability should any entrants contact details have changed following registering with Arington. The £250 will be paid into a bank account of the winner’s choice. The winner will be responsible for any receiving bank charges, and sending bank charges will be deducted from the prize upon payment. The winner must confirm the bank account details via email to info@arington.co.uk. Should Arington not receive confirmation of bank account details or acknowledgement of our communication within 14 days of notification, another entry will be selected at random, and so on. Arington reserve the right to withdraw / end the competition at any time and without warning.